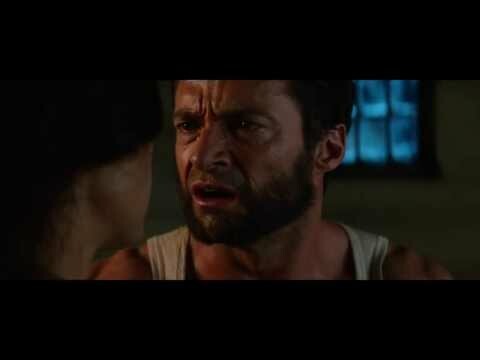 "The Wolverine" movie quotes continue the Marvel superhero story of the "X-Men" character in a new action film. Based on the comic book of the same name by Chris Claremont and Frank Miller, "The Wolverine" used a screenplay written by Christopher McQuarrie, Mark Bomback and Scott Frank. James Mangold directed the film which opened on July 26, 2013, in the United States. In "The Wolverine," the story picks up after the events that occurred in the most recent X-Men movie, "X-Men: The Last Stand." Logan/Wolverine (Hugh Jackman) struggles with his immortality, especially as he witnesses the death of his loved ones, former flame Jean Gray (Famke Janssen). He's contacted by Yukio (Rila Fukushima) who seeks him out on behalf of her employer, Shingen Yashida (Hiroyuki Sanada). Crime boss Yashida wants to talk to Logan to return the favor as long ago Logan, as Wolverine, saved his life. 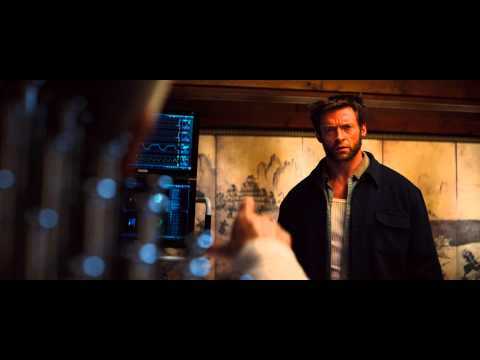 Yashida claims that he can remove Wolverine's immortality and make him human again, something Logan agrees to. While Logan deals with his internal struggles, he's also forced to learn how to battle again without the special powers he once relied on for safety. This creates quite the difficult situation for which Logan can crumble under or embrace to conquer all and find peace within himself. "The Wolverine" is yet another summer 2013 blockbuster hitting theaters during this peak time alongside movies like "Only God Forgives," "Girl Most Likely," "Red 2," "R.I.P.D.," "Pacific Rim," "Grown Ups 2," "The Lone Ranger," "Despicable Me 2," "The Heat," "White House Down," "World War Z," "Man of Steel," "This Is the End," "After Earth," "Fast and Furious 6," "The Hangover Part III," "The Great Gatsby," "Oblivion," "G.I. Joe: Retaliation," and "Olympus Has Fallen." Kenuichio Harada: "What kind of monster are you?" Upon engaging with Kenuichio Harada, Logan returns to his Wolverine form and shocks Harada. This causes Harada to ask who he is dealing with, the answer to which is unexpected. Yashida: "For many years, I have wanted to thank you for saving my life. But I didn't send for you only to thank you, Logan. I wanted to repay you: a gift to equal the life you gave me. You have struggled long enough. I can end your eternity. The ability to heal can be passed to another. Our company can do anything. I can make you mortal." Logan: "What they did to me, what I am, can't be undone." Yashida: "Don't be so sure." Upon meeting Yashida, Logan learns that Yashida wants to repay Logan for saving his life long ago. Yashida can end his immortality, something Logan is not sure he wants or is even possible. Jean Grey: "Wake up, wake up, wake up. I want you." Logan: "Oh, Jean, I am so sorry. I'll never hurt you or anyone ever again. "Jean Grey: "It's too late." [in a possessed voice] "You can't hide." Logan is startled to be awakened by Jean Grey, his love interest who died previously. Just as soon as he can apologize for his actions that led to her death, he wakes up for real and realizes it was simply a bad dream. Yukio: "I've been trying to find you for over a year. My employer's dying, he wants to thank you for saving his life. It's an honor to meet the Wolverine." Logan: "That's not who I am anymore." Yukio catches up with Logan/Wolverine after a long search. She explains that she represents Yashida, who wants to thank the Wolverine for saving his life and return the favor. This encounter however reminds Logan to a place in his life he might not want to revisit.